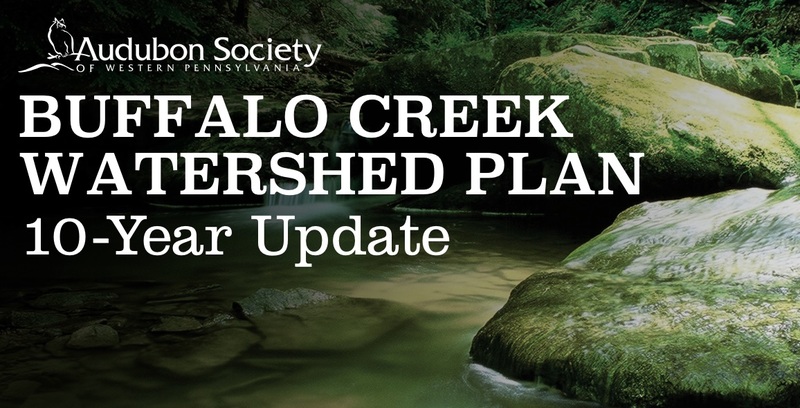 The Audubon Society of Western PA will host a February 27 community meeting to discuss priorities, opportunities and challenges in the Buffalo Creek Watershed in Butler and Armstrong counties. Audubon and GAI Consultants, Inc. are working with local residents and partners to conduct a 10-year update to the watershed conservation plan. The plan will be used to help prioritize investments and obtain additional funds for projects. Buffalo Creek watershed is a high-quality watershed and an Audubon-designated Important Bird Area (IBA). The meeting will be held at the Worthington Community Center, 214 East Main Street, Worthington, Armstrong County starting from 6:30 to 8:00. If you can't make it to the meeting but want to provide feedback? Please fill out the plan update online survey. Click Here for more information on the Buffalo Creek Watershed. This effort has been supported by the Foundation for Pennsylvania Watersheds. To register or if you have questions, contact Sarah Koenig by sending email to: skoenig@aswp.org or call 412-963-6100.